This smaller-pan lasagna includes butternut squash, chicken-style seitan, mushrooms and creamy ricotta, but don't let that scare you. You can make all the components while the others are cooking, and clean up while it's in the oven. 1 lb firm tofu, pressed, then mixed in food processor with olive oil, vegan mayo, Italian seasoning, salt, pepper, garlic powder, onion powder. Chill in refrigerator until ready to use. Peel and cube, either baking or boiling until tender. Drain very, very well and mash with salt, pepper, and a touch margarine. While the butternut squash is cooking, saute the seitan and the mushrooms until mushrooms release the liquid and the liquid evaporates. You can season this mixture with a little of the seitan broth. Cool slightly and pulse in food processor. Small chunks are okay. Spray a 9"x9" pan with nonstick cooking spray. 3 noodles, cutting off excess and setting the small piece aside. then 3 noodles again (cutting off excess). Layer again in the same fashion, and cover with the 2 full noodles, and the noodle remnants. 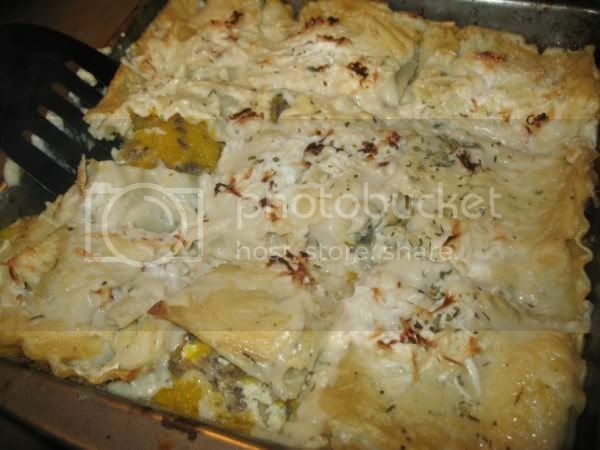 Cover with remaining sauce and sprinkle with the cheese. Bake at 350 degrees 20-30 min, broiling the last couple minutes to melt the cheese. Allow to cool 5-10 minutes and serve with a vegetable. Now I'm hungry! You are dedicated, there are a lot of steps required in this recipe but the results look well worth it. I'm actually sick today! It looks like a lot but you can do several things at once. I just try to be a little specific with my instructions, in case people are new to cooking or don't understand how things are assembled. You should try making it! If you do, let me know if you like it. 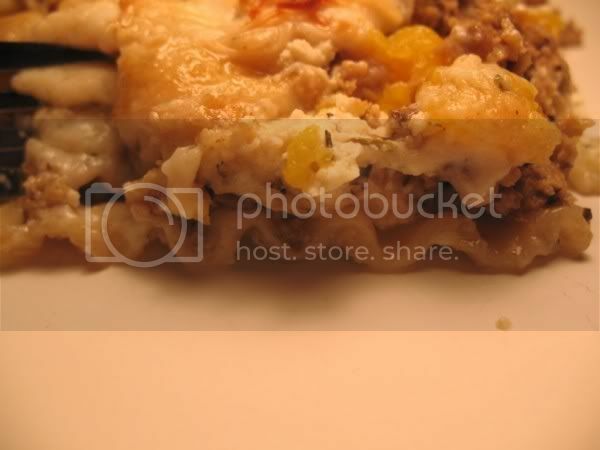 Squash is so amazing in lasagna- and yours looks spectacular. I will definitely try this one for my next lasagna! 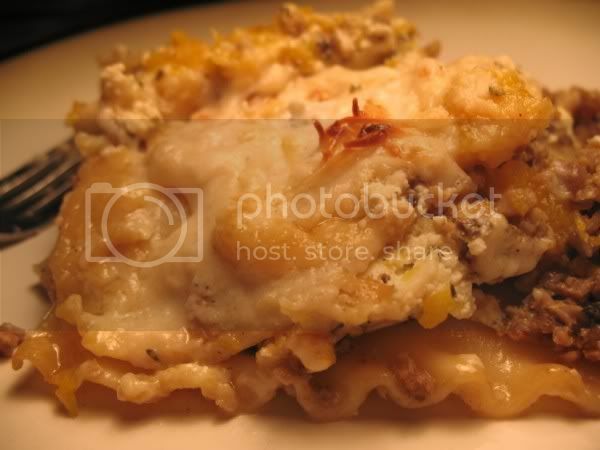 what an enticing variation on the traditional lasagna dish - looks fabulous! Oh my goodness, this looks stupendous! I really need to make some of this soon, looks delicious!